Researchers call for new guidelines for women using family planning services in Aids-hit areas. Campaigns to increase the number of women opting for long-lasting contraceptive injections in Aids-hit parts of the developing world could be helping to spread the epidemic, scientists are warning. New research shows that women who use hormonal contraceptives may double their risk of contracting HIV and of passing it to their male partner, throwing up a new dilemma for global development. The authors of the large-scale study, published in the journal Lancet Infectious Diseases, call for urgent guidance to be drawn up and given to women using family planning services in HIV-endemic areas. 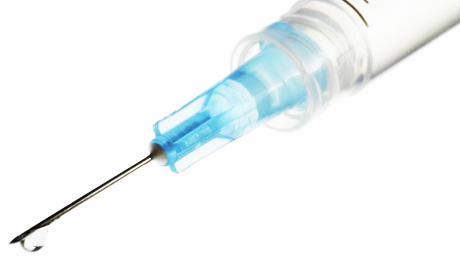 The study showed particularly that the risk of HIV transmission was raised by the long-lasting injections that are most widely used and most popular in the sub-Saharan regions worst hit by the Aids epidemic. The results present a significant problem for global health and development. Unwanted pregnancy is a threat to a woman’s life and can lead to greater poverty and deprivation for her family. The more children she has, the harder it will be to feed and educate them. While family planning is still resisted in parts of the developing world, campaigns to promote injectable contraception have met with some success. Many women have sought out the injections that last for months and that they can sometimes get without their husband’s knowledge if he refuses permission. But the study of 3,800 couples shows that there is a risk which has previously been suspected but unconfirmed. The risk was present for those who took the pill too, but it was not statistically significant because most women in the study had opted for injections. “These findings have important implications for family planning and HIV-1 prevention programmes, especially in settings with high HIV-1 prevalence”, said Jared Baeten from the University of Washington, Seattle, one of the study’s authors. “Recommendations regarding contraceptive use, particularly emphasising the importance of dual protection with condoms and the use of non-hormonal and low-dose hormonal methods for women with or at risk for HIV-1, are urgently needed,” said lead study author Renee Heffron, also from the University of Washington. More than 140 million women worldwide use some form of hormonal contraception. The study group comprised 3,790 couples where one partner had HIV (usually the woman) although the other did not. They were drawn from two existing studies of HIV incidence in seven African countries – Botswana, Kenya, Rwanda, South Africa, Tanzania, Uganda and Zimbabwe. The researchers found that women who did not have HIV were twice as likely to be infected by their partner if they were using hormonal contraception. Those who had HIV themselves were twice as likely to give it to their partner. Tests showed that women with HIV using injectable contraception had raised concentrations of virus inside the cervix. Researchers are unclear why and a larger study specifically designed to look at this issue should be carried out, they say. Meanwhile women should be told there may be an increased risk of HIV infection if they use hormonal contraception and should be counselled that condoms will give them dual protection. This entry was posted in Uncategorized and tagged Africa, AIDS, AIDS pandemic, Depo-Provera, guardian, hiv, Hormonal contraception, international, Kenya, University of Washington. Bookmark the permalink.